Marshall Rushford has been involved in property for a long time and has seen the writing on the wall and how the industry is changing and becoming more digital and social and realised that having his own website enables him to send all traffic from his vendor paid advertising to his own website so he can build his own profile in the area and measure his performance as well as make changes if he realises he’s done something wrong and could do better. When property owners begin to explore the possibility that they will sell their home they go online to do their research. Commonly property vendors will search the major property portals like realestate.com.au and Domain but they’ll want to get to know who their local real estate agents are and how well they’ve performed. 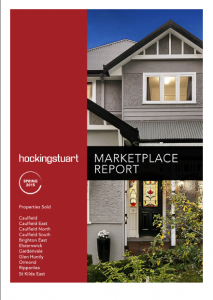 Marshall uses the property market report that is generated by the franchise he belongs to, to provide vendors with very detailed statistics about what is happening in the local property market so they can get a good feel about how much demand there is and what kind of price they can expect to get for their property. Marshall used 123ezy to help him learn about digital marketing so that he could then take those skills in house and have them performed by his own staff. 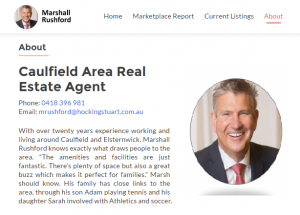 As a real estate agent who is also a managing director of an agency with a team of other agents, Marshall understands the importance of engaging with all prospects so he chose the Lead Capture approach to provide these property reports, collecting prospective vendors details while at the same time providing them with valuable property market information. This enables him to maintain contact with prospective selling vendors so that he stays front of mind and he also incorporate those vendors in his social media marketing (including Facebook advertising). The best part of a lead capture process is Marshall is able to send regular and pre programmed emails about various aspects of the property selling process.